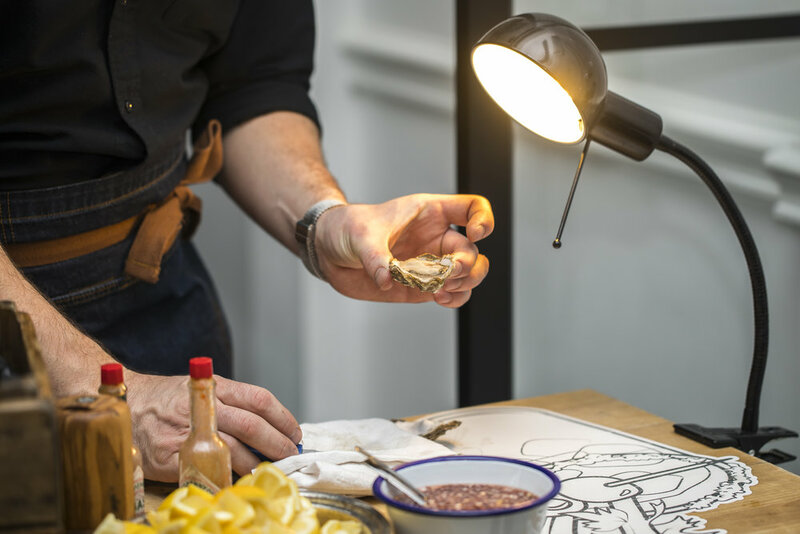 Starting as a trader at Columbia Road Flower Market 5 years ago, Oyster Boy Events had one simple goal... to sell the best bloody oysters London had to offer. You know what? Everyone loved them, so we expanded by opening stalls in Broadway Market and Leyton Food Market. In 2014, we took a step up into the world of high end restaurant service with a residency at Chiltern Firehouse in Marylebone, where the Oyster Boy serves an ever changing platter of oysters from around the world. 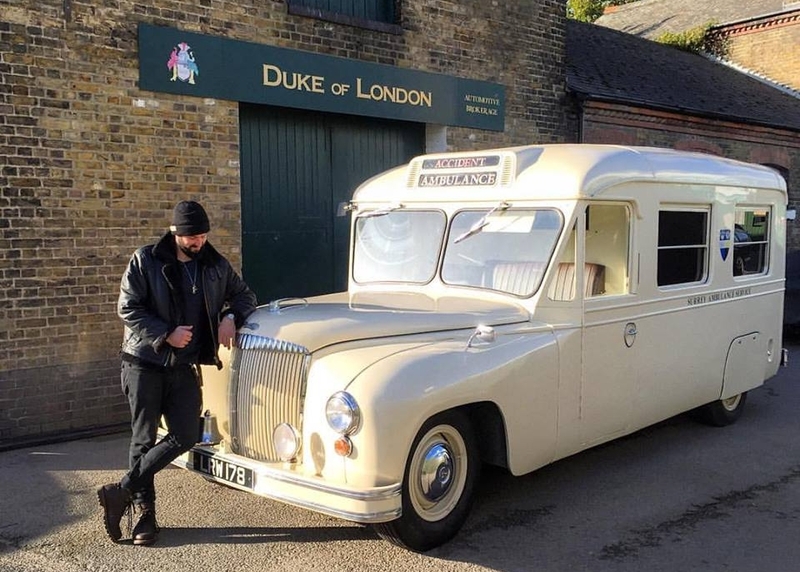 Our newest project, the Hangover Hospital, is a mobile oyster and cocktail bar, operating out of a beautifully restored 1951 Daimler ambulance. Bringing the best British bivalves and spiciest Bloody Marys to those who need them most. Any time. Any place. Any where. Oyster Boys spiritual home... No where we'd rather be than Ezra Street on a Sunday. Checking out the Ezra Street scene with Oyster Boy Snr. Champers and Oysters? Just the thing to add a little decadence to your shindig. Oyster Boy & Duke of London. Our lovely little unit on Broadway. The original and best oyster on the Market. Whether you are an oyster novice or connoisseur, join us for an exciting evening learning and enjoying one of mans eldest delicacies. An evening of tasting and oyster education, you will learn the differences between different oysters, farming methods and bivalve history as well as learning how to safely and professionally shuck and oyster yourself. Tickets can be found at oyster.boy.events@gmail.com for £40 which includes your oysters for the evening, wine pairing samples and a cocktail. On March 20th, Oyster Boy is delighted to be co-hosting an oyster and wine pairing event at the prestigious 67 Pall Mall. While I'm always about town... You can drop me a message or give me a call if you need to pin me down. Awww shucks... You sent us a message.